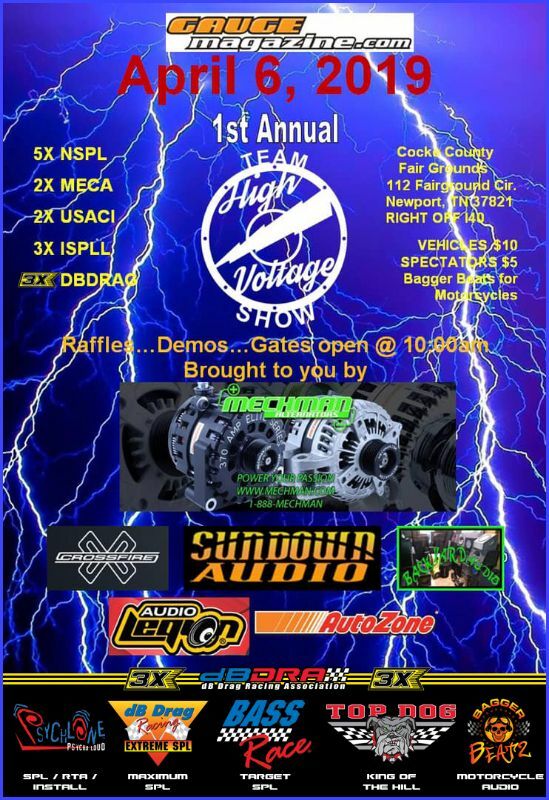 Come out and join Team High Voltage at our first annual show. This is a demo friendly show, so come out and crank it up. Each organization will have their own entry fees.